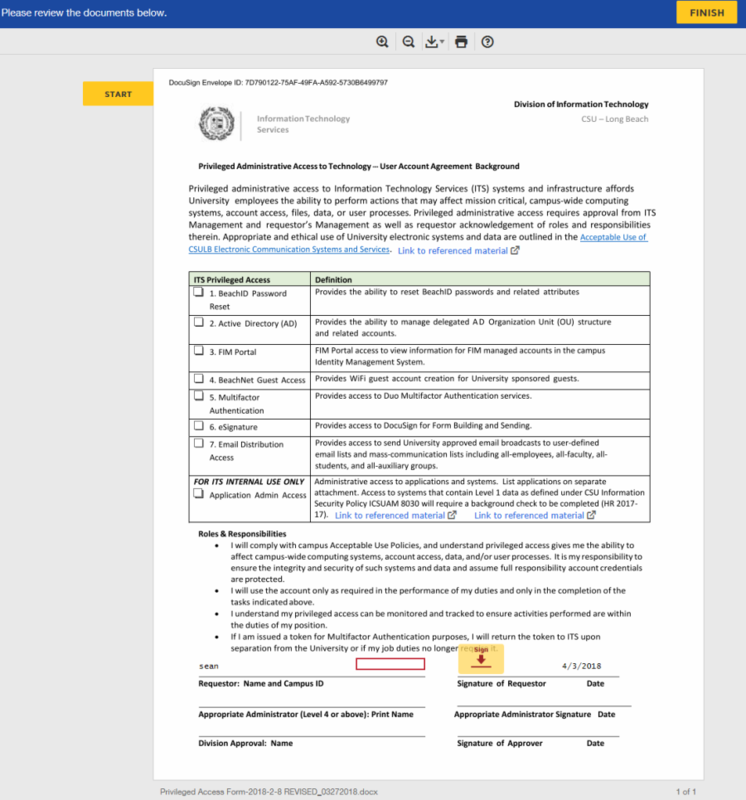 CSULB's eSignature (DocuSign) service is considered a privileged access system. Privileged administrative access requires approval from Information Technology Services management and the requestor's management. In addition, requestors must acknowledge roles and responsibilities therein. Requestor: as the requestor of a particular privileged access service (i.e., DocuSign), enter your full name and campus email address. Appropriate Administrator: the requestor is to enter the full name and campus email address of their approving administrator (i.e., ASM, director). Note: Division Approval is predefined, so no action is required on your part. After clicking on "Begin Signing," you will proceed to select your privileged access system ("6. eSignature") and begin signing the form and acknowledging your roles and responsibilities. 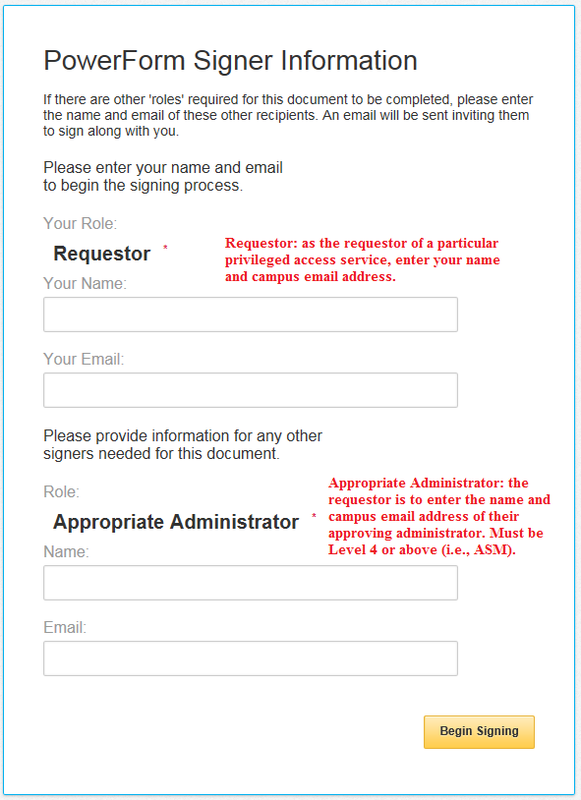 The contact you entered in the Appropriate Administrator section will then receive your request and review/approve it. Next, the Division of IT approver will provide the final approval signature, which will then lead to a notification to the IT Trainer. The IT Trainer will send a training invite to the Requestor via email within a couple business days. Begin signing your Privileged Access form.